Rüsselsheim. Opel remains loyal to its long and successful history in motor sport. The German brand will compete again on national and international rally stages during the coming season. 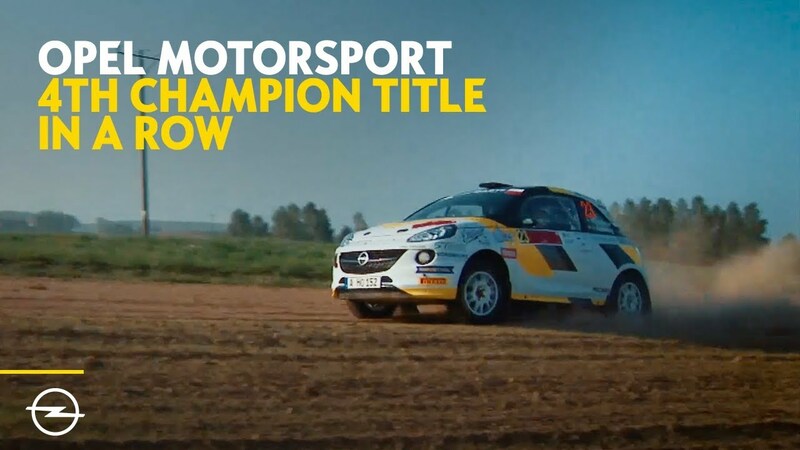 In 2019 Opel Motorsport aims to claim its fifth successive victory in the European junior rally championship for drivers up to 27 years of age, which has now been officially renamed the FIA ERC3 Junior Championship. One of the 190hp ADAM R2 cars entered by Opel technology-partner, Holzer Motorsport, will be driven by Swede Elias Lundberg (20), who secured the drive in the ADAC Opel Rallye Junior Team by winning last year’s ADAC Opel Rallye Cup. A second car will be piloted by Grégoire Munster from Luxemburg (20), who finished second to Lundberg in last season’s Rallye Cup, taking three victories. With 130 participants from 18 countries, Europe’s most successful brand rally trophy has offered a professional platform for young drivers since 2013, bringing eight young talents into the ADAC Opel Rally Junior Team. For the 2021 season, Opel will thus develop an R2 car based on the next Corsa for the European championship, as well as for international customer sport. The technical details of the Corsa R2, which should become available for private teams at the end of 2020, will be announced at a later date. The sixth generation of the bestselling Corsa, which comes onto the market this year, will form the basis of the rally car. Opel will continue to support the ADAC Rallye Cup in 2019 with the 140 hp Cup-version of the ADAM and with the attractive proposition of a spares package for the next season for the winner. Opel will also offer all Cup participants an on-site technical and logistics service plus a starter-pack for new entrants.